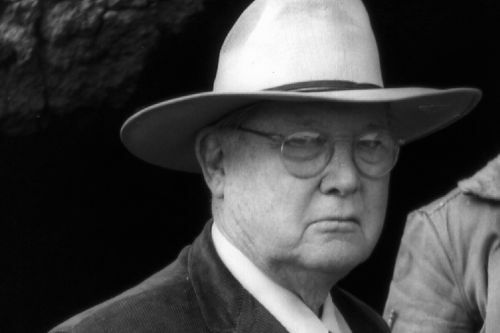 Erle Stanley Gardner (1889-1970) was an American author of detective fiction. He was best known for creating the Perry Mason character and also wrote Cool and Lam series as A.A. Fair as well as the Doug Selby series. Before getting into writing, Erle was working as a lawyer, so he began writing stories for pulp magazines in his spare time. Eventually, he gave up practicing law in order to move to writing in full-time. Gardner was named a Grand Master by the Mystery Writers of America and also won an Edgar Award. Notes: The Donald Lam & Bertha Cool series was written as A.A. Fair. The Case of the Burning Bequest was written by Thomas Chastain, based on the work of Erle Stanley Gardner. The Bigger They Come was also published as Lam to the Slaughter. Give ’em the Ax was also published as An Axe to Grind. Shills Can’t Cash Chips was also titled Stop at the Red Light. The D.A. Calls It Murder was originally published as This is Murder. The Knife Slipped was written as A.A. Fair.